The Vice Chief of the Defence Force (VCDF) Vice Admiral David Johnston, AO, RAN is the military deputy to the Chief of the Defence Force (CDF) and acts as the CDF in his absence under standing acting arrangements. Vice Admiral David Johnston RAN was born in 1962 and entered the Royal Australian Naval College as a junior entry Cadet Midshipman in 1978. He graduated from the College in 1982 as a seaman officer, later specialising as a Principal Warfare Officer. He was appointed Vice Chief of the Defence Force on 7 July 2018. His operational naval tours include serving as Commanding Officer of HMAS Adelaide (FFG 01) and HMAS Newcastle (FFG 06). In these commands he conducted border security patrols and deployed on Operation QUICKSTEP to Fiji in 2006. His staff appointments include Command and Control specialist staff positions in Australian Defence Headquarters, Operations Manager at Sailors' Career Management and later as Director Joint Plans in Strategic Operations Division, where he developed strategic military response options for consideration by Government. Military Strategic Commitments Division provides strategic level management and situational awareness of potential and current ADF Commitments. Military Strategic Plans Division provides a strategic military planning capability that compliments the existing strategic framework, strengthens the strategic centre and enhances the link between policy, strategy and operations. 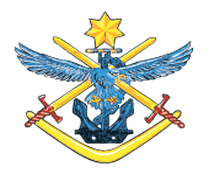 Force Design Division’s role is to test the force in being, provide preparedness assurance, design and guide the development of a balanced and affordable future force, in order to provide the Government of Australia a capable, agile and potent Joint Force. Force Integration Division's role is to execute the Joint Capability Management, Command, Control, Communications, Computer Intelligence, Surveillance and Reconnaissance (C4ISR) Design Authority, Joint Test and Evaluation, and Integration and Interoperability assurance roles on behalf of the VCDF.